C A N D L E S! 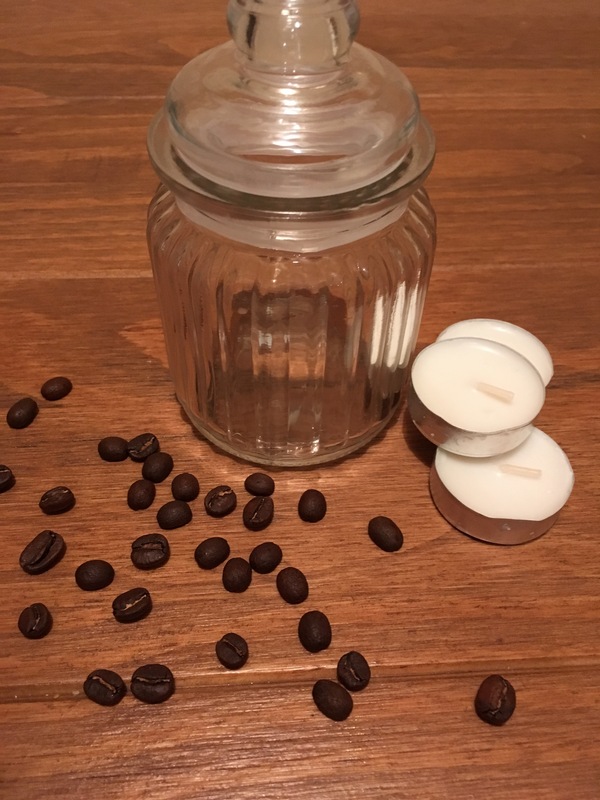 I realise not everyone likes coffee, but for those of you who do… This really is a very inexpensive and simple way of adding a little comfort to your home. Simple decorate your jar with the natural rope. I tend to go round the neck of the jar a couple times, and tie into a bow. Add a generous helping of coffee beans. Light the candle, and sit on the top. The tealight will heat up, and will help to release the coffee bean aroma.